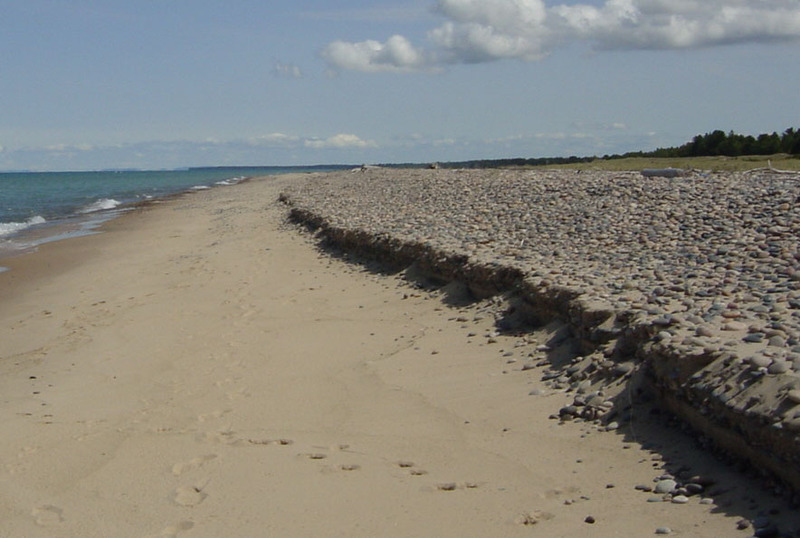 On the same day that the Michigan Department of Natural Resources (MDNR) press release came out announcing the celebration of the upper peninsula’s Crisp Point land acquisition project, a national “Sign On Letter” was being circulated by the Association of Fish & Wildlife Agencies. Besides their crossing in cyberspace, what’s the connection? I’m glad you asked. The Crisp Point acquisition project includes 3,810 acres of forest land and more than 2 miles of Lake Superior shoreline. It was made possible by a $4.5 million grant through the U.S. Forest Service’s Forest Legacy Program, together with $1.5 million in private matching funds. The national sign-on letter being disseminated by the Teaming With Wildlife project is asking that congress restore funding for several programs targeted for elimination in the next fiscal year. These include the Forest Legacy Program, the North American Wetland Conservation Fund, and the Water Conservation Fund. Even in an area where local politicians and some citizenry have questioned the benefits of public land ownership, the merits of this acquisition project were obvious. What was ultimately demonstrated to the satisfaction of local units of government is that the reasons for a project of this type go well beyond the “warm and fuzzy.” There is also a significant economic component. Keeping a large block of uninterrupted lands in public ownership assures that timber can be managed in a sustainable manner and also offers diverse recreational opportunities and wildlife habitat which benefits both consumptive and non-consumptive users. In addition to the Forest Legacy grant program, the North American Wetland Conservation Fund (NAWCA) has also been targeted for elimination. The NAWCA program has been used effectively throughout our northern Michigan area by non-profit organizations such as Little Traverse Conservancy, The Nature Conservancy and Ducks Unlimited. Their collective ability to leverage private funds through this publicly sponsored program has resulted in the protection of thousands of acres of critical wetlands from the tip of our mitt to Lake Gitche Gumee. This is especially critical during a time when recent research suggests that 75% of Michigan’s mallard harvest comes from birds that originate in the Great Lakes region (source, Fisheries & Wildlife Committee report – Michigan Natural Resources Commission – July 11, 2013). If you and your organization are supportive of these programs and would like to join in this national effort, you may do so by sending an email with your organization’s name and state to Teaming With Wildlife by Friday August 30th. If you would prefer to send in your own letter, a form draft of the national version can be retrieved in a Word document format by clicking here.